While I was in the mood for blue with Bramble Blue, I painted another scene with the same color palette. 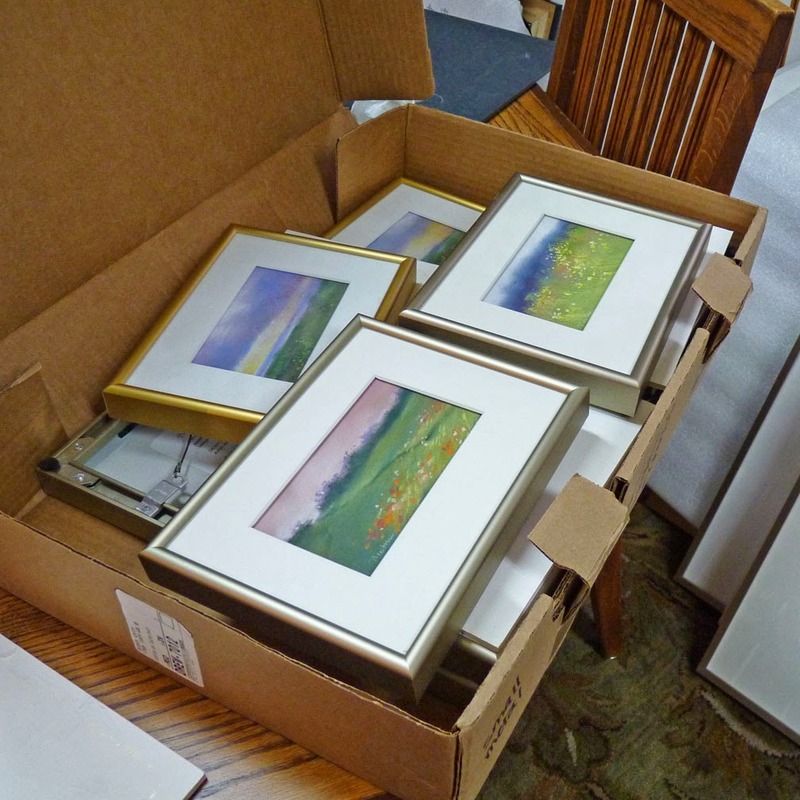 Last week, I began "refreshing" a half dozen small framed paintings for the auction at Daily Paintworks. 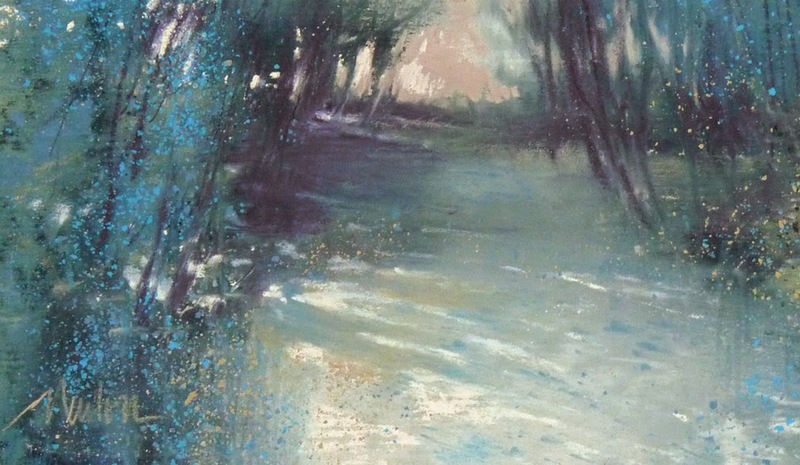 I love this little painting, especially the dappling created by an experimental vinegar/water spray. Click the image to enlarge. What a treat to wake up to the Seattle Times newspaper review about my work! 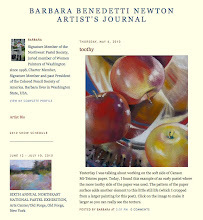 I don't know writer Nancy Worssam but she seems to understand my goals as a painter... Yay! Read the entire review here. 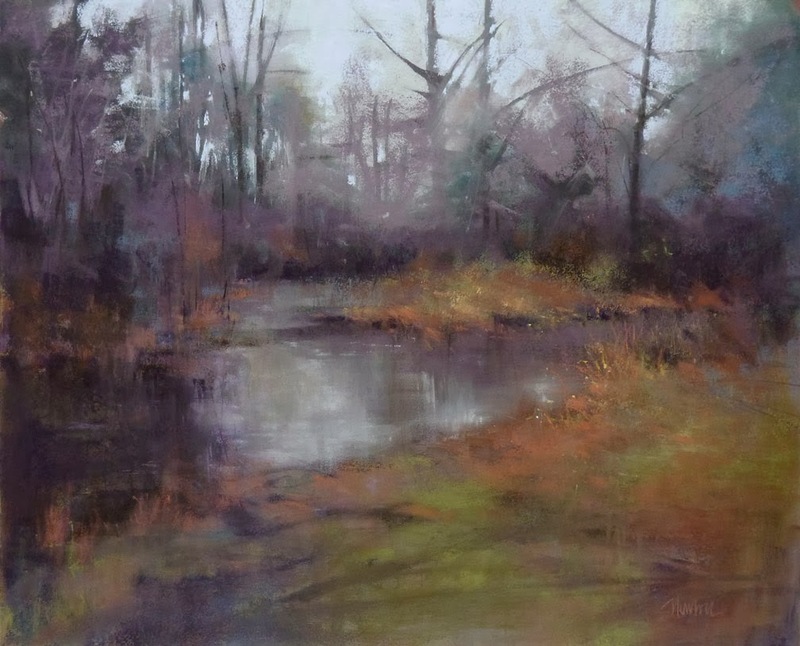 A review of “Paintings About Trees,” comprising works by Barbara Benedetti Newton, Monte Shelton and Darin Clark, at Jeffrey Moose Gallery through Saturday, May 3, 2014. 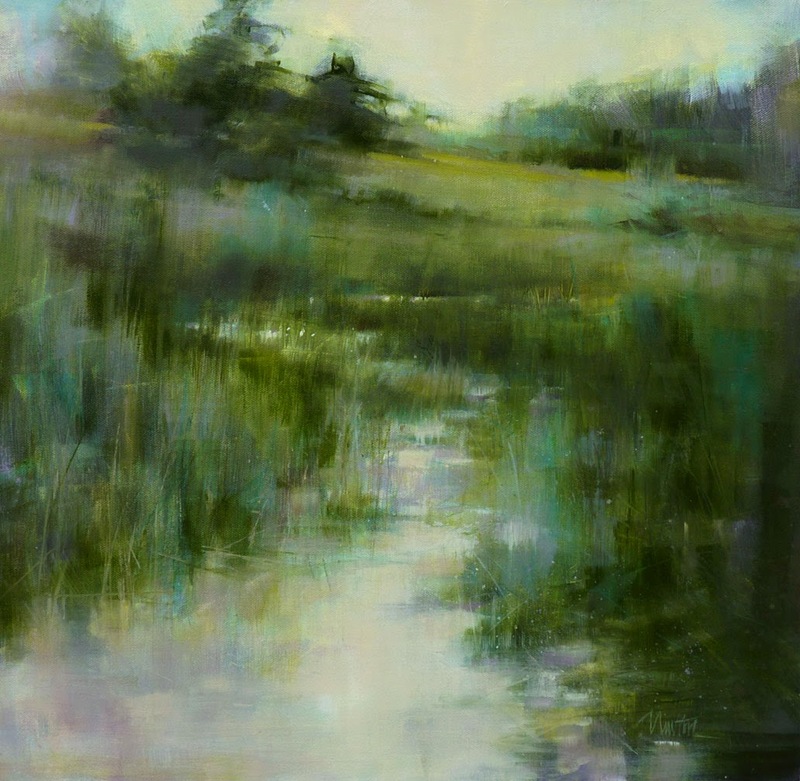 The landscapes by Barbara Benedetti Newton are suffused with gossamer colors. Newton began as a colored-pencil artist, won numerous prizes and became a well-known teacher and writer about the form. 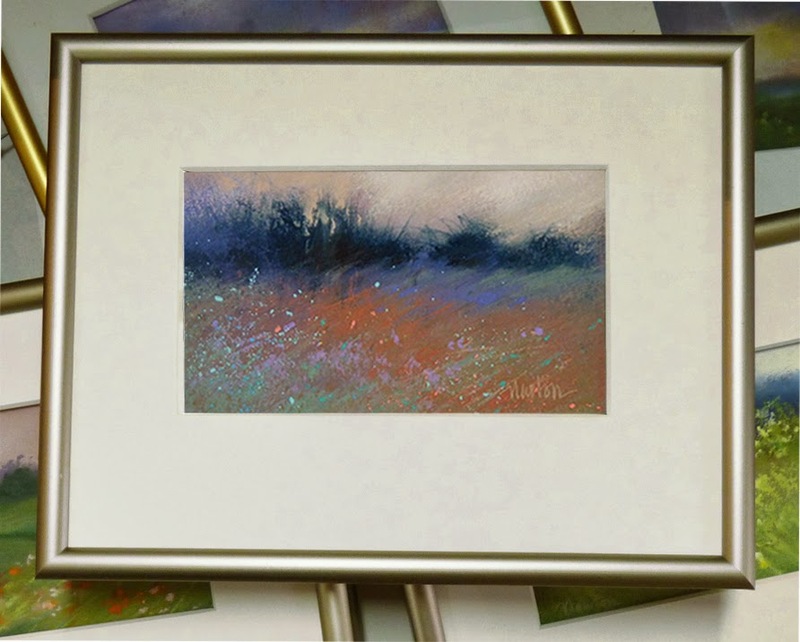 She then began experimenting in pastels and more recently in oils. In these media, too, she has won numerous prizes and become a known authority, masterfully capturing the diffused light of the Northwest. 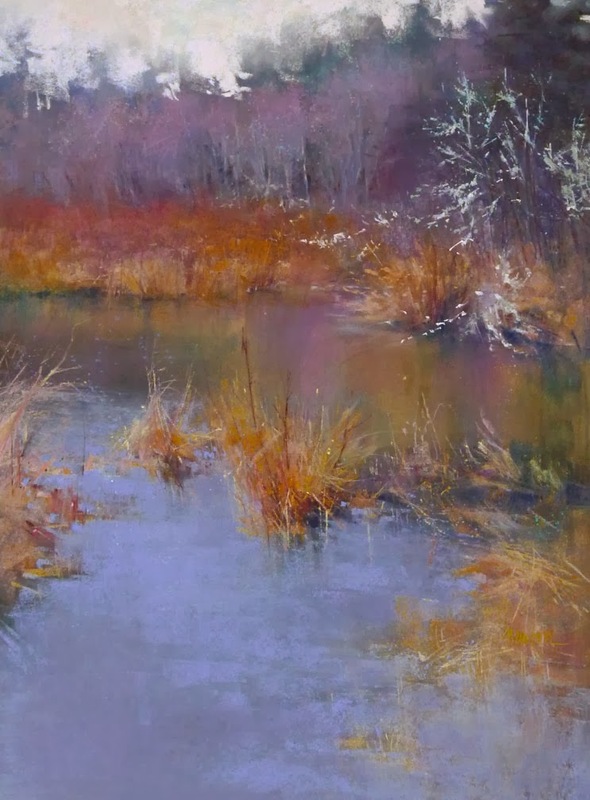 The pastel and oil landscapes on exhibit are impressionist renderings. 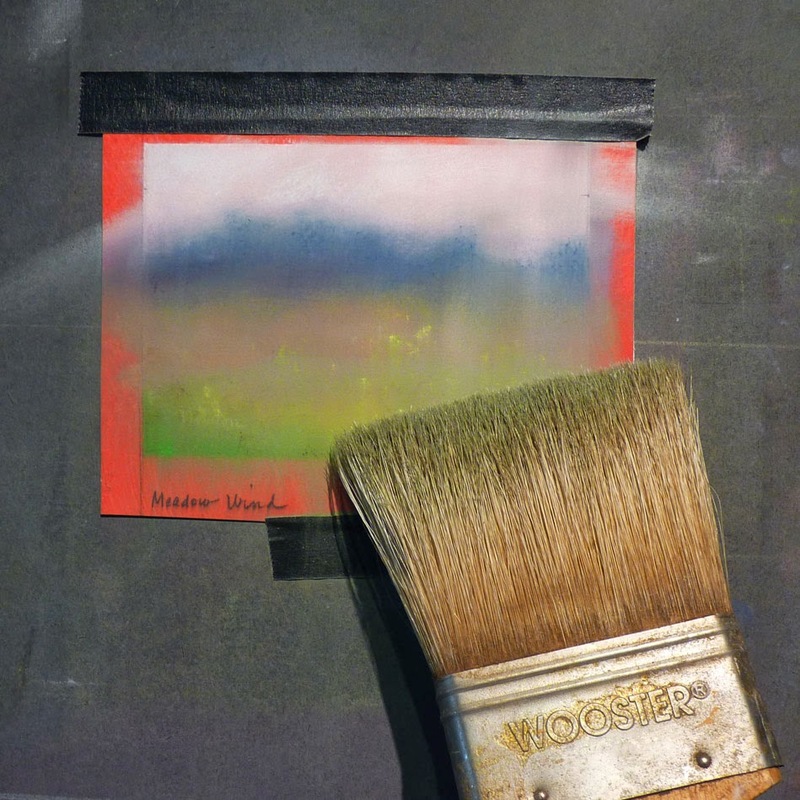 For some pastels she adds moisture to achieve a wash that gives the works a diaphanous quality. Yet within these works she often includes hard-edged elements more precisely rendered. 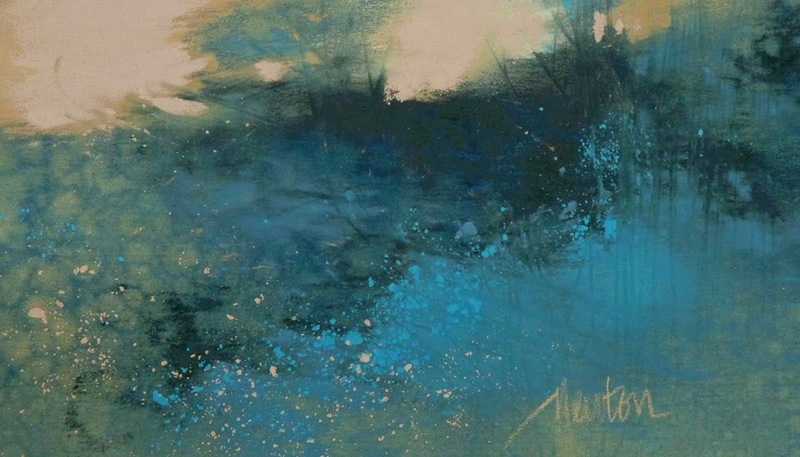 There’s a lovely gauziness in her oils, too, where shapes and colors flow into one another. In these paintings she plays with the paint, sometimes feathering it out, at other times carefully defining each element of the landscape. 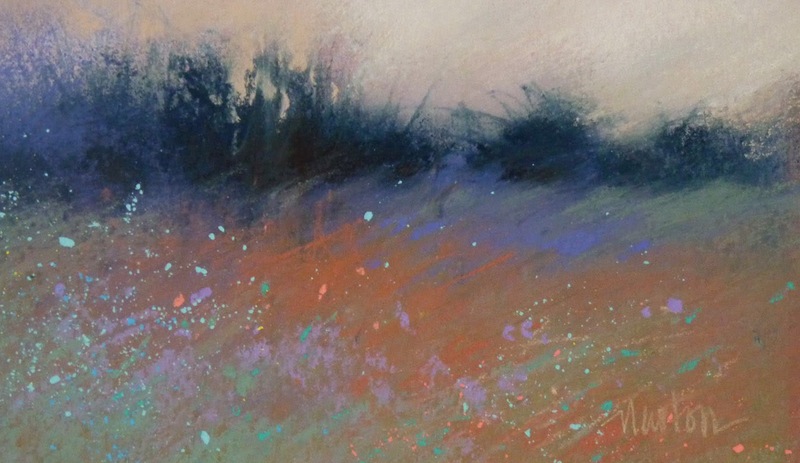 Look for the bursts of color in many of the paintings, bursts like subtle fireworks that are powerfully effective. Brushed off another little painting today and reworked it. A new look for Meadow Wind. Back into the frame and on to the Daily Paintworks Auction. Today I cleaned out underneath the counter next to my pastel easel. Still on the counter are my pastel boxes with covers (in front) and Terry Ludwig pastels in boxes further back. 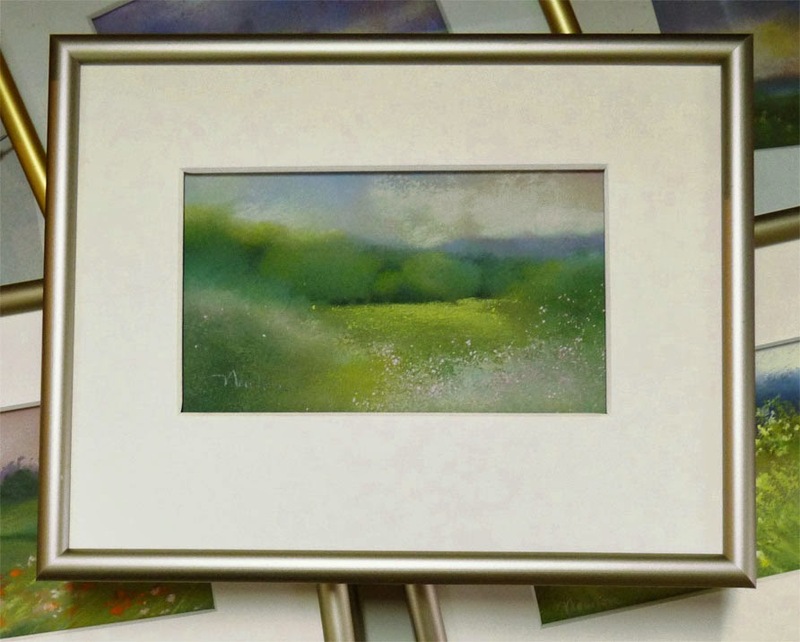 Along the wall are the 7x7 inch pastels that haven't sold on Daily Paintworks. They are matted now awaiting frames so they can go on to a gallery. Look at that nice empty space! That is where I have stored metal frames (empty and with glass and mat) and they will probably go back there once I have taken inventory. 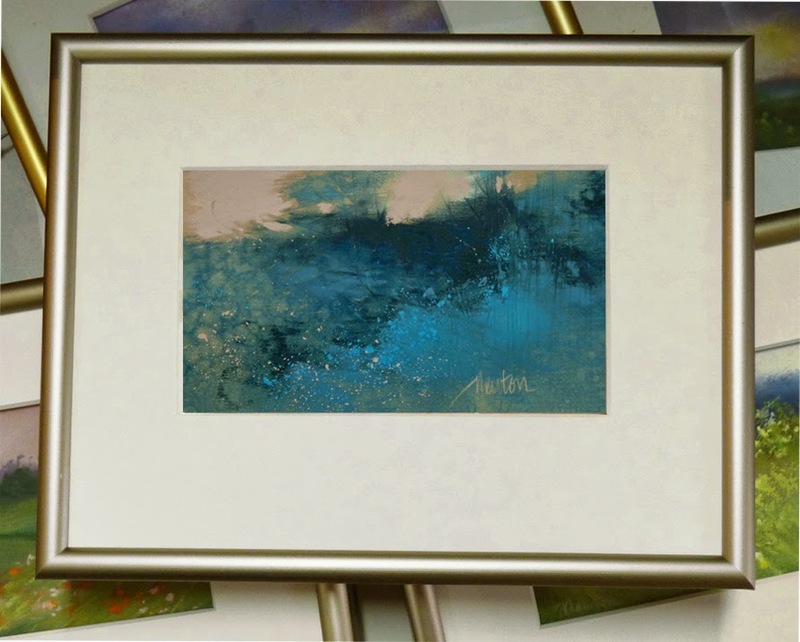 But, I also found this box of small pastel paintings in metal frames with off white mat. My goal is to move as few items as possible to the new house so I will be selling these. 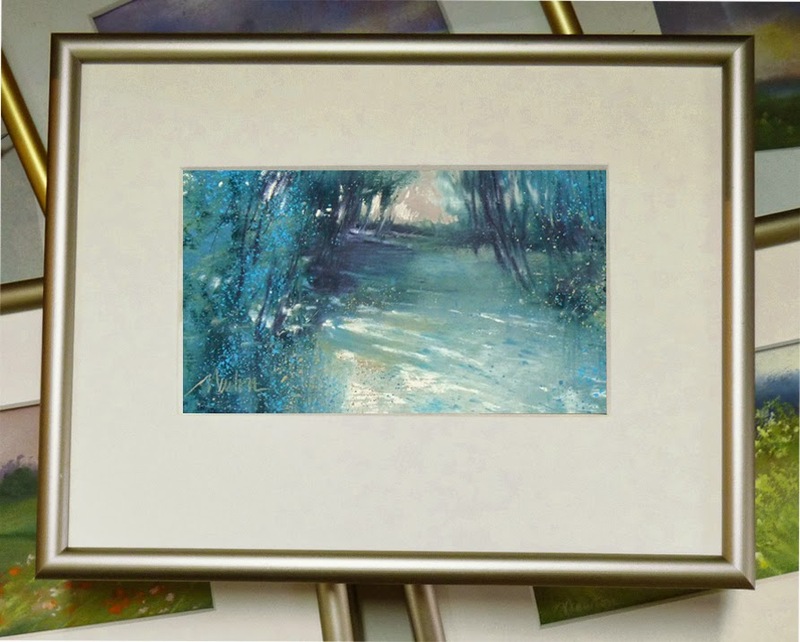 I took the first one out of the frame, freshened it up with additional pastel, put it back into the frame and will post it on Daily Paintworks. The goal is to find new homes for these. 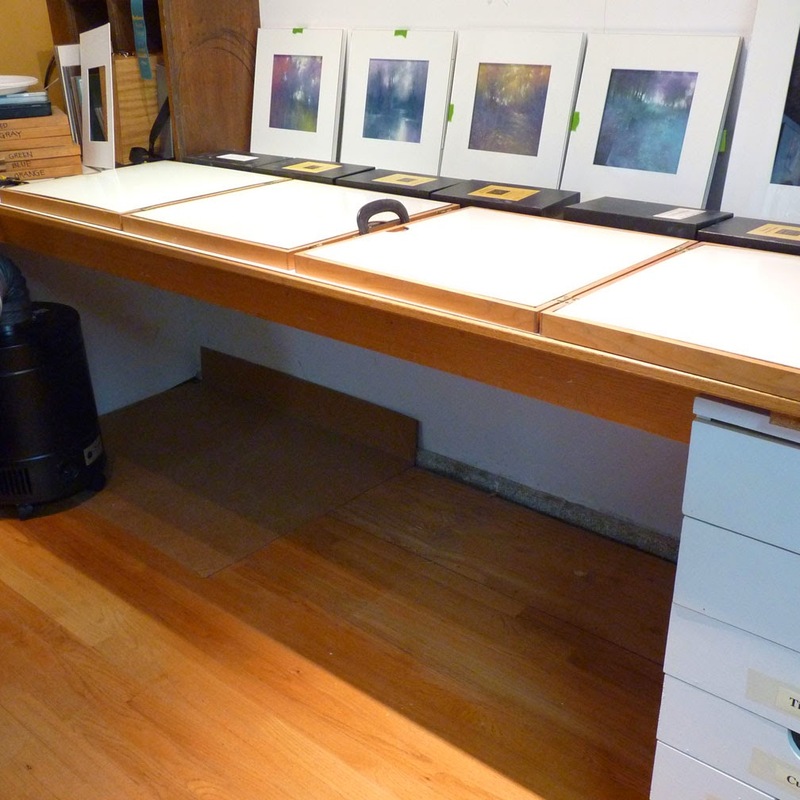 I love seeing photos of other artists' studios - especially the really famous oil painters. Most photos show a pile of crinkled oil paint tubes. I tried that...it drove me nuts. I like to be able to find the color I want quickly. My husband, Retired Guy aka Mr. 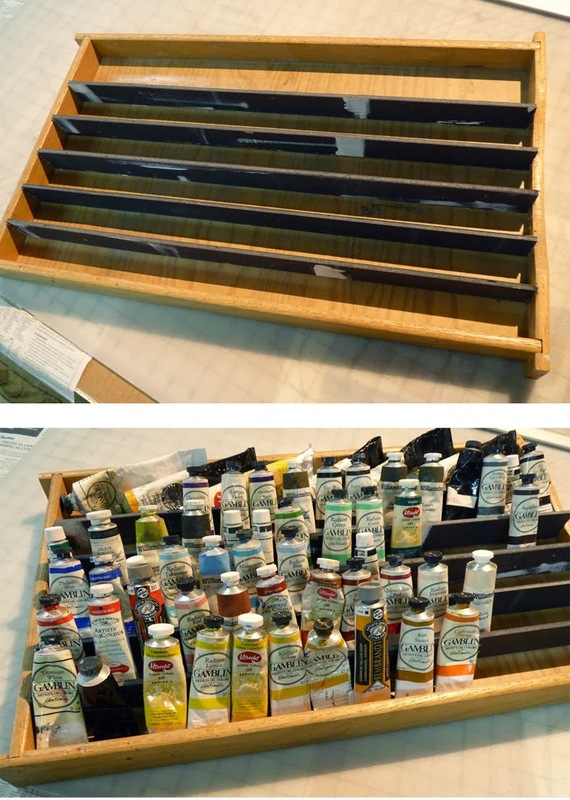 Cheerful and Agreeable hot-glued dividers of gator board into an old shallow drawer so my tubes can stand semi-upright showing their labels. The larger 150 ml tubes are prone in the last space. Now I can find each color without digging through a pile. Something about it was bothering me. Today I unframed it and reworked the skyline (I remember trying to make the skyline look like the reference photo. So much for reference photos!) I also added some detail work in the lichens and softened the lichens in the middle background. With the new, lively, dancing skyline, I like the way the more solid evenly divided trees and shoreline ribbon-shape goes across the back until it meets the delicate light lichens at the right. Much better. Yesterday I met with my long-time critique group and took my pastel-in-progress with me for their input. I've written about them in the past - here is a link to my 2008 post and another link to my post about them in 2011. Our group has been together for almost 20 years and I value their opinions on art and life and their friendship. Most times I receive advice about making an area darker or lighter, changing a shape or a color. Yesterday, I was encouraged to knock back a bright spot (a one finger 3 second smudge - done!) and then stop! Leave it alone, call it done, move on. So, here it is, "The Signature of All Things," pastel, 15 x 18.5 inches. Thanks everyone!